The Yorkshire coast is one of the most spectacular in Britain. Now, here is a guide to walking the length of it. From Redcar all the way south to Bridlington is magnificent clifftop and seaside walking, by turn exhilarating, picturesque and lonely. You’ll walk beside chalk cliffs soaring to 600ft, teeming colonies of seabirds, smugglers’ coves honeycombed with caves, and miles of the finest beaches, to end at the unique peninsula of Spurn, a sliver of sand and shingle so fragile it seems certain to be overwhelmed at any moment. The route takes in some of Britain’s best-loved holiday towns, including Whitby, Scarborough, Filey and Bridlington, the quaint fishing villages of Robin Hood’s Bay and Staithes, and the remote expanse of Holderness. 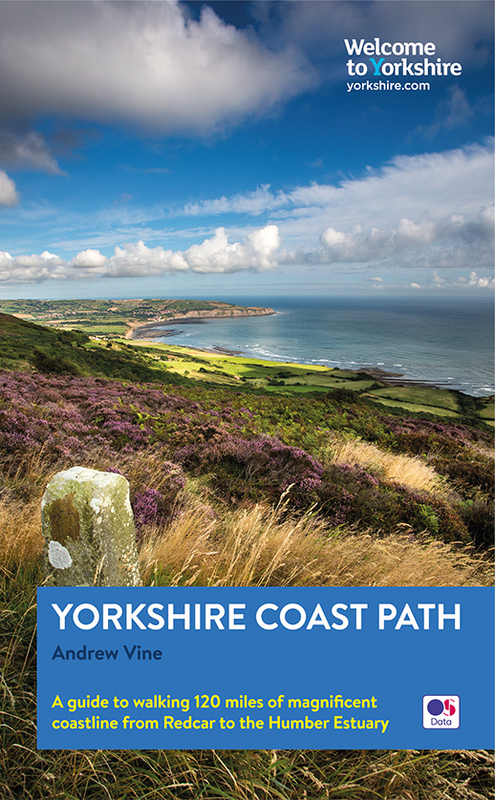 This definitive guide, branded by Welcome to Yorkshire, features large-scale OS Maps and is packed with information and colour photos that bring the coast to life. It is essential for holidaymaker or daytripper alike, serious walkers or those looking for an afternoon’s ramble through inspiring landscapes. Andrew Vine was formerly Deputy Editor of The Yorkshire Post and still writes a weekly column for it. His previous books include Last of the Summer Wine. He lives in Leeds.